Perhaps you’ve tuned to their show, Junk Gypsy, on HGTV. Perhaps you’ve bartered over a shabby-but-chic relic at the Junk Gypsy Co. World Headquarters in Round Top, Texas. Or perhaps you Googled their names after realizing they designed the countryas- all-get-out wedding for the No-Longer- Married-As-All-Get-Out Miranda Lambert and Blake Shelton. It doesn’t really matter how, when or why you discovered the rowdy, rough-riding duo of Amie Sikes and Jolie Sikes. All that matters, much like the trash-turned-treasure these two sisters live and breathe, is what you found. 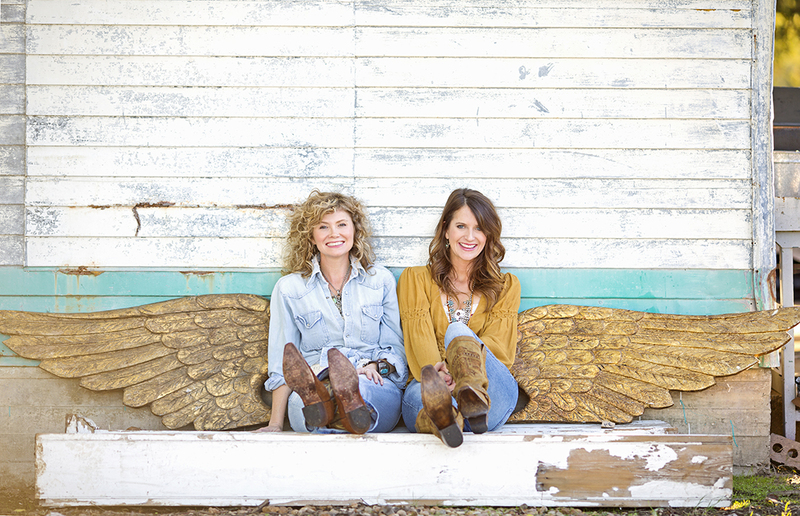 More than 15 years ago, Amie Sikes and her younger sister, Jolie, transformed their (self-admitted) borderline hoarding habits into the rugged home-décor brand known as the Junk Gypsy Co. Raised riding horses and building forts in the Piney Woods of East Texas in the small town of Overton (population 2,554) by their entrepreneurial parents, the Sikes sisters seemed destined to ramble and roam. However, both sisters made big-city plans, hustling and bustling through jobs after graduating from college before realizing Mom was right. It was time, as Merle Haggard faithfully crooned, for the big city to turn them loose and set them free. “I remember thinking that I was never going to be back in that cubicle again. Those days of waiting for the clock to strike 5 were done,” Amie Sikes says. Jolie Sikes departed her Houston job in a cloud of dust just as thick, and hitched up with her sister on the road. Together, they traveled across Texas in search of something, picking up and packing away plenty of roadside relics along the way. By 2001, Amie Sikes and Jolie Sikes had put down roots in Round Top, the antiquing heaven conveniently perched just 65 miles east of Austin, as the crow flies, or between 75 and 95 miles, as the pickup drives. As the sisters put down roots in Round Top, they also cultivated Junk Gypsy’s rebellious spirit and contagious design philosophy. It wasn’t long before the sisters, who specialized in canvassing mountains of trash for pieces of treasure, found themselves at the top of another heap, one that put them in popular demand for partnerships, for television deals and from celebrity clientele. This October alone, the sisters launched two exclusive bedroom collections with PBteen, Pottery Barn’s teenage brand, set out on a tour for their recently released book, Junk Gypsy, and closed out Texas Antiques Week in Round Top. The ride has been a successful one, with the sisters adding passengers to their gypsy wagon that keep the business and brand rollin’ on like an 18-wheeler. While family is the most important thing to Amie Sikes and Jolie Sikes, what does that mean for all the other “things”: the things they collect, stash, accumulate, amass as Central Texas’ most unyielding junkyard hounds? There’s nothing new in the sisters’ precious handme- down items. There’s no adhesive gunk left from a price tag or the potential for airline miles with a credit-card purchase. They’re just good and old. The old adage “A house is not a home” might need to be re-needlepointed on a pillow to include “without good junk” if it’s to reside with either of these junk gypsies. It’s safe to say gleam and gloss will not set their souls afire, unless maybe it’s from a drill bit glistening over yonder. Wandering helped steer the sisters to Round Top. Wondering helped them forge the world of Junk Gypsy. Now, Amie and Jolie Sikes aren’t worrying too much about where their wandering and wondering ways will take them next. What Thanksgiving tradition do you hope to continue for generations? Amie: Our Arkansas farm tradition with our dad’s whole family. Jolie: The gathering of the entire Sikes family at our cabin on the Little River beats any Black Friday shopping event. I wouldn’t trade it for the world. And, oh yeah, Aunt Alice’s homemade yeast rise rolls. Describe your sister in three words. Junk Gypsy: Designing a Life at the Crossroads of Wonder & Wander by Amie Sikes and Jolie Sikes, $25, available at junkgypsybook.com and gypsyville.com. Calendar alert: Nov. 15, book signing at the Texas Conference for Women, Austin Convention Center, 500 E. Cesar Chavez St.